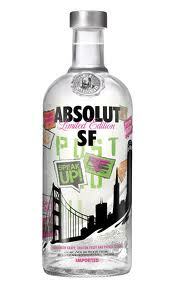 Absolut Vodka, a brand owned by spirits and wine company Pernod Ricard USA, has launched Absolut SF, a limited-edition vodka in San Francisco. The new product features a blend of grape, dragon fruit and papaya that provides spirits drinkers with a bold flavor when mixing a cocktail. The company hopes Absolut SF will blend the voices of San Franciscans as they share their stories of life in the City by the Bay on the campaign’s integrated Facebook page. Consumers are encouraged to submit their San Francisco vision, photos and drink recipes, and will also have the opportunity to personalize and share a video that celebrates the spirit of SF. Absolut Vodka Brand Director Laura Stephen said this summer, the company raises a glass to the diversity that flourishes in the City by the Bay from the Castro to the Marina, to the ubiquitous influence of NAPA and Sonoma and the prolific Asian and Hispanic communities.